UK genre film festival Grimmfest is delighted to announced that this year’s 10th Anniversary festival will take place at the ODEON Manchester Great Northern, 4th-7th October and they have a truly special guest being honoured at the event. 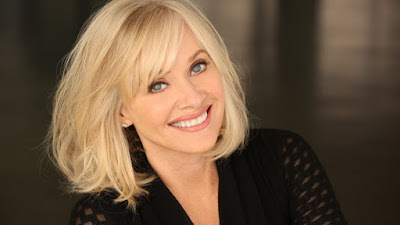 Their special guest will be actress and horror genre icon BARBARA CRAMPTON. Renowned for her roles in cult classics such as RE-ANIMATOR and FROM BEYOND, Barbara continues to be a major figure in contemporary genre cinema, appearing in such acclaimed recent releases as YOU'RE NEXT, THE LORDS OF SALEM, SUN CHOKE, WE ARE STILL HERE and REPLACE. Barbara will be talking about her acting career and will introduce a special screening of 80's horror classic RE-ANIMATOR as well as a premiere of one of her new movies. She will also receive a lifetime achievement award, sponsored by Horror Channel. Grimmfest is a truly independent genre film festival, committed and dedicated to sharing great movies from both new and established filmmakers from the world of genre cinema. Priding themselves on premiering the very best in new horror, cult, extreme fantasy and sci-fi movies. "This is our 10th anniversary year and to celebrate, we will be focusing on women in horror. We’ve already announced our new awards structure and the all-female jury but we also felt it was perfect timing to invite one of our favourite screen stars to the festival". GRIMMFEST 2018 will take place 4th–7th October 2018 in Manchester UK. Short and feature length genre films should be submitted via FilmFreeway. GRIMMFEST’s Regular submissions deadline is 7th July and late deadline is 4th August. Selected films will be eligible for award consideration.